A mix of iceberg and romaine lettuce, carrot and peppers. Crisp, refreshing leaves with carrot and pepper. SWEET. Washed and ready to eat. Iceberg Lettuce, Romaine Lettuce, Carrot, Pepper. Keep refrigerated. 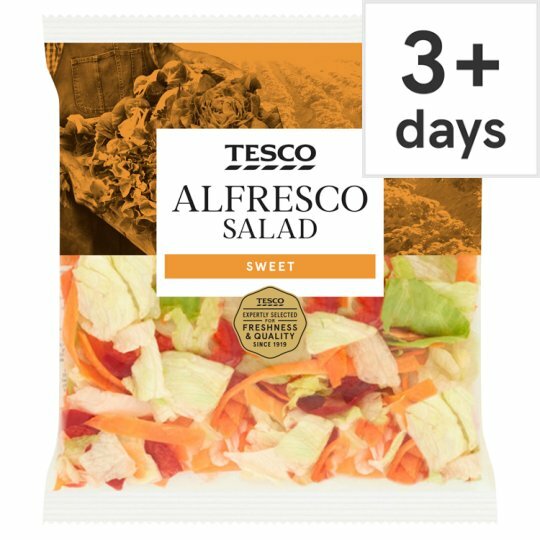 Once opened, consume within 1 days and by 'use by' date shown. Once opened, consume within 24 hours.